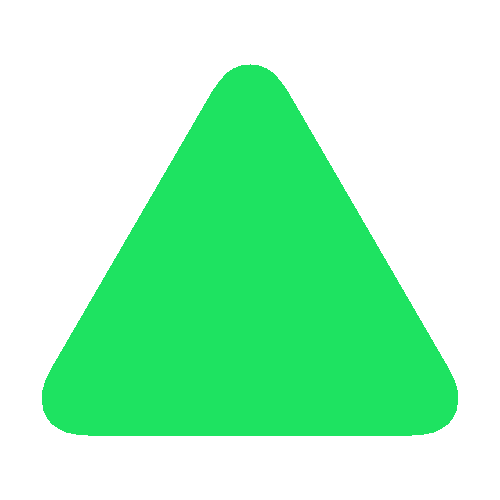 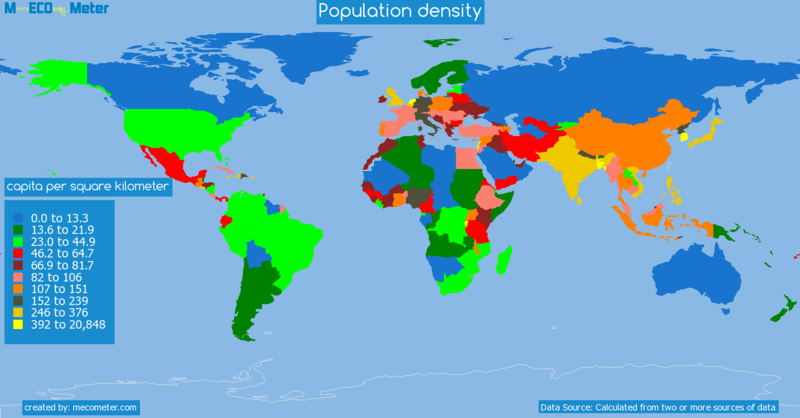 Value & RankThe Population density of Israel is 371 (capita per square kilometer) with a global rank of 25. 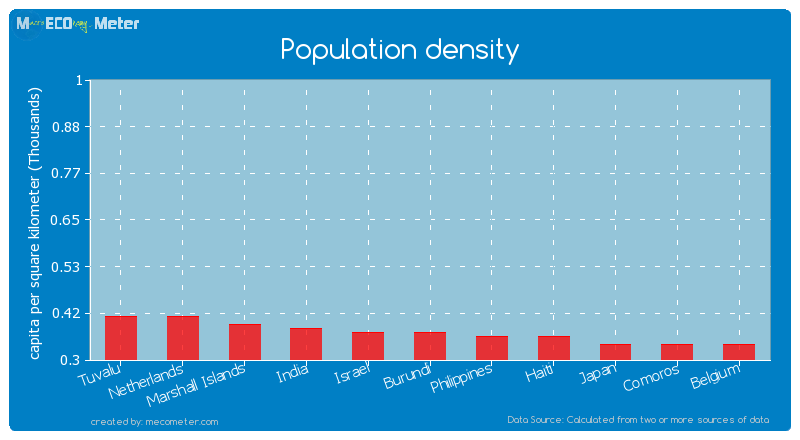 Israel compared to other CountriesThe Population density of Israel is similar to that of Tuvalu, Netherlands, Marshall Islands, India, Burundi, Haiti, Philippines, Comoros, Belgium, Japan with a respective Population density of 415, 406, 392, 376, 374, 360, 359, 343, 342, 336 (capita per square kilometer) and a global rank of 20, 21, 22, 23, 24, 26, 27, 28, 29, 30.10 years growthIsrael's Population density had a positive growth of 15.2 (%) in the last 10 years from (2003 to 2013). 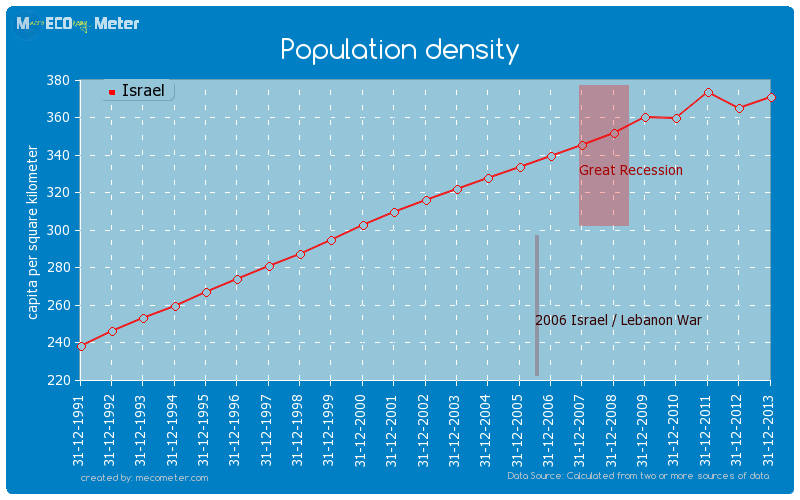 Last 10 years averageIsrael had an average Population density of 350 (capita per square kilometer) in the last 10 years from (2003 to 2013).